If you are not sure where you would like to volunteer or are apprehensive about joining one group and then finding out it is not a match (or that you might over-commit with the time that you currently have available) – then we have the perfect solution for you. Have you heard of One-off Volunteering? 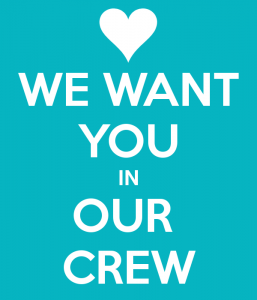 Join the MyLinlithgow Events Crew. Can your offer a minimum of 3-4 days over a year and want to support a local charity or community group? If yes – then we can point you in the direction of a wide range of groups that need your help for one-off volunteering events that they manage annually. For example one Saturday you might be helping out at the Linlithgow Union Canal Society’s Fun Day. Another time you could be supporting Linlithgow Athletics to manage the operation of their 10K run. Then you might help Linlithgow Folk Festival to set up for their week of events. All you need to do is join our mailing list. We’ll let you know which groups need support on specific dates. If you have availability on that date then just get in touch. It’s a great way to meet new friends and give something back to your community. Maybe you’ll also find a new hobby or learn new skills by getting involved with a variety of groups you might not normally come into contact with.